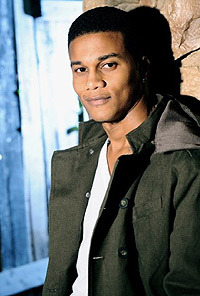 Rising star Cory Hardrict has been seen in a role in the big budget sci-fi, action thriller, Battle Los Angeles for Sony pictures. In addition to Battle Los Angeles, Cory had a lead role in director Doug Aarniokoski's independent thriller entitled The Day, an indie action thriller described as an apocalyptic siege warfare film. Cory can be seen at the moment in "Warm Bodies" starring John Malkovich, Dave Franco and Teresa Palmer. He plays Kevin, the lead soldier protecting Teresa Palmer’s character and second in command to her father, the general Grigio (Malkovich). Gilles Nuytens: Since last time we spoke, wow it was already 2 years ago and it was about Battle Los Angles, how have you been, what were the most important things you accomplished since then? Cory Hardrict: Wow! Let's just say the most important thing was having my son Cree worked on 4 films since so hey life is good, thankful! Gilles Nuytens: We haven't talked about it last time and it's a little old but you had a scene with Clint Eastwood in Gran Torino, almost 2 minutes opposing him! What a great experience it must be. Can you talk about it, please?How was the man? Cory Hardrict: I mean Clint eastwood has this magnetic power that draws you in where you’re on pins and needles; but at the same time he's a great guy who's down to earth and a man of very few words. I have the up most respect for him, and thank you Mr. Eastwood for the chance of a lifetime! Gilles Nuytens: So, Warm Bodies. Let's start with the beginning, audition process. Was it hard to get the role? Can you speak about your whole experience, since the day you heard about the project until you were booked for the movie? Cory Hardrict: My friend had originally mentioned the project to me...so, I asked my agent about the project because I wanted to get involved. I got the part and the rest is history! It all happened so fast, next thing I knew, I'm in Montreal filming! Gilles Nuytens: How did you enjoy playing Kevin? Cory Hardrict: I love playing soldiers so this role was right at home for me. And working alongside John Malkovich is a actors dream! Gilles Nuytens: Do you have any behind the scenes pranks, jokes, funny stuff you want to tell us? Cory Hardrict: Yes, my cell had malfunction in the middle of quiet scene and I didn’t know it was mine. I was so nervous about the whole thing! 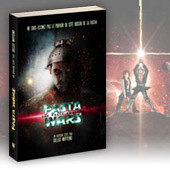 Gilles Nuytens: Is there anything special you learned from this experience on that movie? Cory Hardrict: Yes, that zombies need love too (hahahaha) and at the end of the day that's what keeps the world in peaceful place, Love! Gilles Nuytens: Another legendary actor, John Malkovich! I'd be tempted to ask you the same question than the one about Clint Eastwood! Cory Hardrict: I mean he is a living legend and personally he is just a great human being great spirited man! Gilles Nuytens: How difficult, or easy, was it to play on that movie? Any challenges? Cory Hardrict: Not at all, it was fun to work every day! I get to do this for a living and I love it! Gilles Nuytens: The movie will be released tomorrow in USA and at the end of March where I live, are you happy with your performance and with the movie in general, as a viewer? Cory Hardrict: Yes, I'm happy with it. The movie just makes you feel good about life, it’s the new Romeo and Juliet but with a few zombies in it. Gilles Nuytens: How was your work with the director, Jonathan Levine, what kind of director is he? Cory Hardrict: Jonathan is super cool. He loves hip hop, and his vision behind the camera is like no other. He is very comfortable as a director lets actors do their thing. I really enjoyed working with him, he is a great guy! Gilles Nuytens: After playing so much time with zombies, zombies everywhere on sets... have you had any nightmares with zombies some nights? Cory Hardrict: No, not at all, especially since the zombies in the movie are funny. They are hilarious! Gilles Nuytens: What would you like to say about "Boulevard H"? Cory Hardrict: It is a very funny movie, and it shows me in a different light. I am very excited for everyone to see it, it will be great fun!! Gilles Nuytens: ...and then, Malcolm McDowell... I bet you guess my question here! Cory Hardrict: Unfortunately, I haven’t worked with him yet but when I do will let you know. Gilles Nuytens: Anything else you'd like to add, Warm Bodies related or anything else? 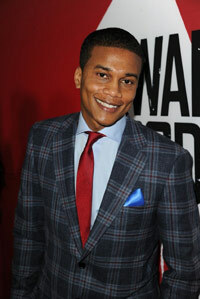 Cory Hardrict: Thank you for supporting my career and Warm Bodies in theaters, now! Tell the world!